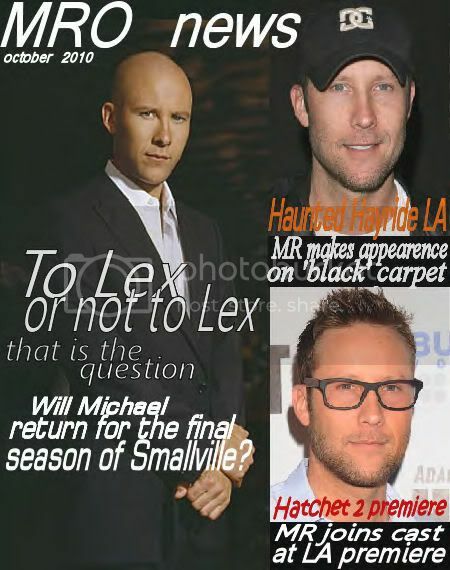 I have done some work to the main site Michael Rosenbaum Online because I now have this blog thanks to Hamlat at Rosenbaummedia I archived all the past news from the front page and have slightly changed the layout of the front page. SFX is currently holding one of their ‘ultimate’ polls this time round its who is the ultimate Superman cast? Michael is up for Lex Luthor and we all know he is the best so lets show him our support and get voting! It feels like we have been waiting for this for a long time so its great to finally be able to download it!